Detangling brushes are now an absolute beauty must-have! Detangling brushes from Dessata have no handle. The brushes are comfortable to hold and have different length flexible bristles. When detangling, the bristles bend apart to ease tangled hair rather than tugging it painfully. 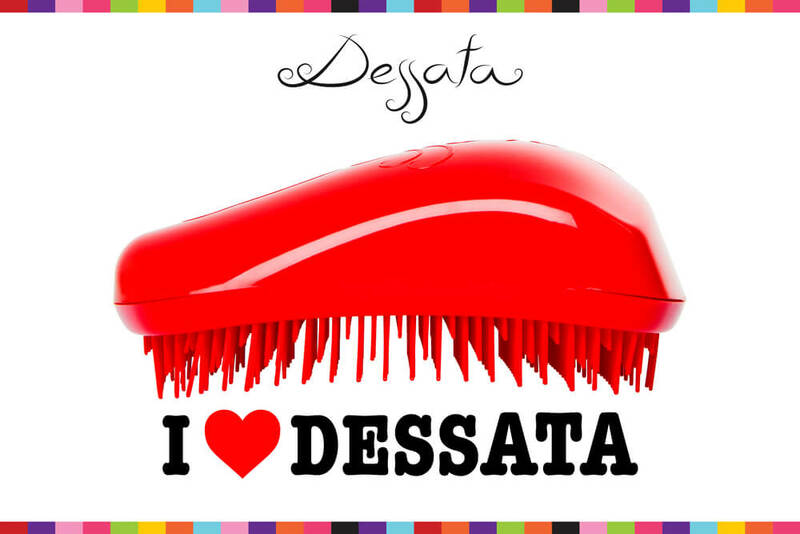 Detangling brushes from Dessata come in various bright colours. This makes Dessata brushes really eye-catching. Detangling brushes loosen knots in the hair gently, without tugging. Wet hair in particular can be detangled quickly and painlessly. The ergonomic shape of the detangling brush means that it lies in the hand comfortably. The detangling brushes from Dessata are also suitable for curly hair, extensions and wigs and the gentle detangling prevents split ends and breakage. The detangling brushes will help your hair look healthy and shiny. 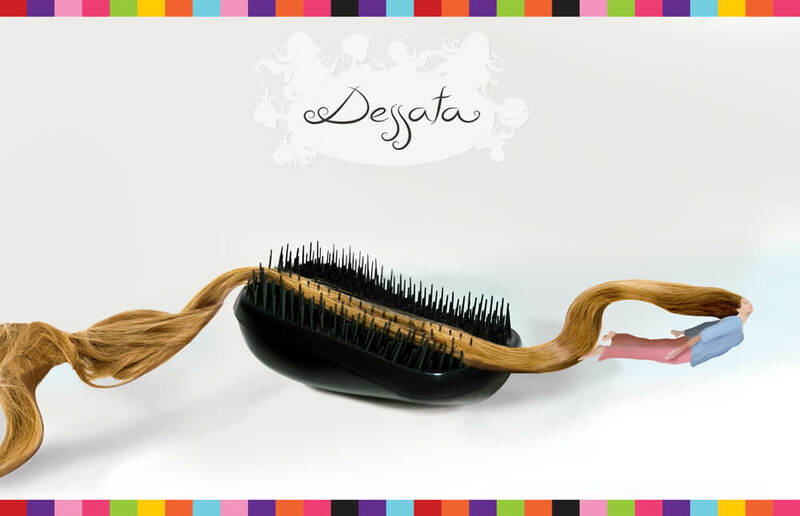 Brush your hair in the morning and evening with the special Dessata brush. You can also use it on wet hair. You’ll feel and see its smoothing effect. The Spanish brand Dessata stands for exciting design and hair care without pain. The individual brush shape with elastic bristles of various lengths detangles hair in seconds without pulling or breaking it. The brushes are ideal for particularly sensitive children’s hair. The eye-catching Dessata brushes come in bright colour combinations and creative pattern mixes. Elegant metallic editions such as bronze or rose gold enhance the unusual collection and will delight beauty queens with exquisite taste. Customer evaluation for "Detangling Brush"
Seitdem ich DESSATA benutze, lasse ich keine andere Bürste mehr an mein Haar! Ich bin positiv überrascht. Ich habe sehr lange glatte Haare. Die Bürste geht sehr leicht durch die Haare, selbst wenn ein Knoten im Haar ist, bekommt ihn dieser schnell durch. Ein Stern Abzug weil durch das Plastik die Haare sehr statisch aufgeladen werden und somit "fliegen"
Zwei Mädchen (12 und 14) mit langen Haaren - das kann schon zeitraubend sein. Mit diesen Bürsten ist das Zurechtmachen der Haare wieder möglich. Die Farben sind dann noch ein Blickfang. Please type the number sequence in the text box.